Graduate students from across the Samuel Ginn College of Engineering presented their research at the 2016 Graduate Engineering Research Showcase on Thursday, Oct. 20. 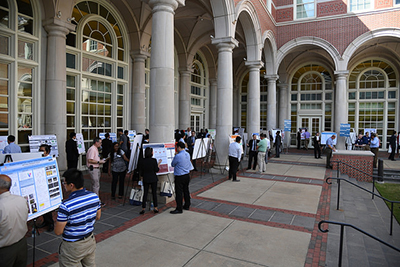 The annual showcase, sponsored by the Council of Engineering Graduate Students, consists of poster presentations which highlight the work of Auburn Engineering graduate students. The event promotes engineering scholarship, professionalism and interdisciplinary research. More than 140 graduate students and 81 judges, including faculty, alumni and special guests, participated in the event.